The author was born in a Palestinian refugee camp in 1951 to a Sunni Muslim family from Jaffa. After his secondary education he stayed in Gaza and taught mathematics. He then went to Egypt to study medicine at the esteemed Zagazig University. During his period of study he became acquainted with Shaykh Hasan al-Banna and started to associate with the Ikhwan al-Muslimun. Graduating in 1981 he returned to occupied Palestine and began to practice Medicine in Jerusalem. Later he shifted to Gaza and served in a children's hospital. He was arrested by the Zionist forces and sentenced to one year in 1983, and to three years in 1986, for his Islamic-Political activities. Then in August 1988 he was deported by the regime to South Lebanon. From then on he carried out his activities from Beirut and then Damascus. He propagated Islamic ideology and revived the culture of Jihad among Muslims of the area. He was assassinated in Silema, Malta by Mossad agents of terrorist regime on 26 October, 1995; his funeral in Damascus on 1 November, 1995 was attended by some 40,000. The present article was published by Shahid Shaqaqi in Egypt. 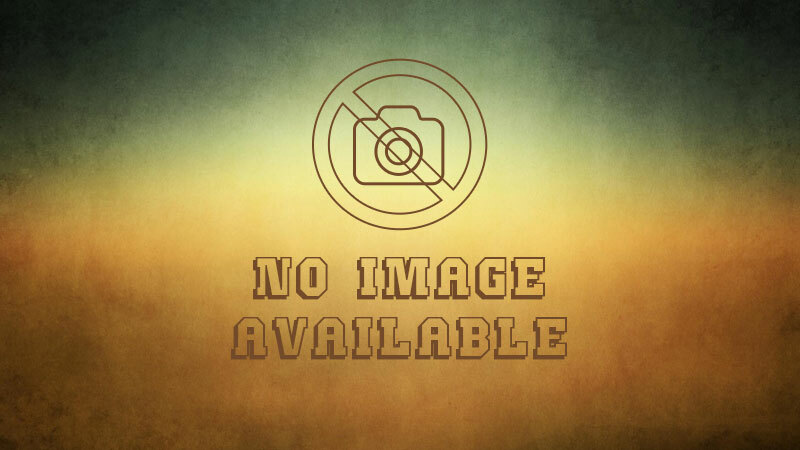 It was translated into English and first published by the Islamic Propagation Organization of the Islamic Republic of Iran, in Canada, with the title, Sunni vs. Shi'ah: A Pitiful Outcry, and under the pen name of the author, Ezzoddin Ibrahim. Since the beginning of the 19th century, the Islamic world has been faced by a new encounter with the West generated by the industrial revolution which had followed upon the hatred developed during the Crusades, The first strike was by an attack of the French, This recent challenge resulted in the fall of the Caliphate, our political system, and the occupation of the lands of Muslims. The West continues to attack us morally and ideologically, giving us, in their place, their feeble secular substitutes, Moreover, over thirty years ago it managed to attain one of its dangerous aims when it formed the Zionist state in the heart of the Islamic world and gave its agents and proteges the confiscated power to rule. This evil plan can be visualized in a chain-like series of inter-related events: The success of the challenge would not be possible without the establishment of the Zionist state, which requires the fall of the Caliphate. The continuation of the Zionist entity requires regimes in the Islamic world to be agents aligned with the neo-colonialist powers. Such regimes are the natural and logical product of this encounter and are, collectively, one face of the coin of which the Zionist state is the other. Events appeared to be like this until four years ago when the West believed it was directing final, fatal strikes at a supposedly collapsing Islamic culture. Then the Islamic Revolution in Iran directed its first arrows at the West and achieved the first victory of Islam in the modern age. Life returned to the Islamic body which they thought had died. It is awakening and arising from the very region where their satanic effects were the strongest and greatest. A new era is dawning. We have discovered ourselves. We are arising after two hundred years of humiliation, after centuries of backwardness and illiteracy. This is the Islamic Revolution, advancing to establish many facts, some of which are as follows: First, removing the sense of rear of the great states and powers from the minds of the whole world, particularly Muslims and other oppressed people of the world. Second, bringing to mankind our exemplary new cultural pattern while putting the western pattern in the 'defendant's corner'. Rojer Garaudi, the well-known French thinker says, "Khomeini has placed the western pattern of development in the 'defendant's corner". He further says, 'Khomeini gave meaning to the lives of the Iranian people'. Third, confirming the historic role that revolutionary Islam is to play in the lives of the people of the region after more than a century of Islam being subjected to attempts to displace it from power and influence. However, does the West and its agents leave the Revolution to itself! They counter-act it and try to break its spirit. Does it remain silent about the joy that filled the hearts of the people just as when rain falls upon the dry earth after a long period of waiting? And does it allow this longing for Islam generated by the Revolution to continue and spread? They were struck by the uprising of this Muslim nation and its 'impossible' Revolution. They tried hard to prevent the revolutionary Muslims from reaching power. But they failed! Then they started to work on many interlinked schemes such as: First, stirring up issues relating to minority groups, making use of what they called the 'state of disorder' through which the Revolution was passing. Second, supporting certain Iranian groups who opposed the Revolution, such as the 'royalists', 'savakis and other secular organizations that took up arms to fight the Revolution. Third, imposing an economic and political embargo, directed by the USA and Western Europe, which was apparent during the hostage-spies crisis. Fourth, utilizing direct external invasion via the use of Saddam Takriti and the pitiful Iraqi army. 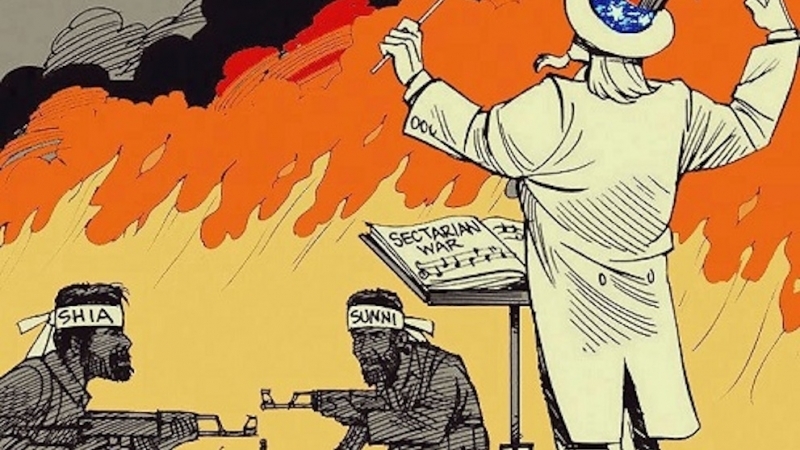 Fifth, the stirring up of social disharmony between the two wings of the Muslim Ummah, the Sunnis and the Shi'ites, in a final attempt to contain the revolutionary tide and prevent its effects from reaching the Sunni populated regions that either are rich in oil or are confronting the Zionist entity. The Revolution managed· to crush the rebellion of certain western-led groups like the royalists, as well as the agents of secular opposition. It faced the sanctions with such strength that Imam Khomeini felt optimistic. He told the students who were following his program, "We did not revolt to fill our stomachs, therefore, they cannot silence us when they try to frighten us by imposing sanctions upon us. We arose for the sake of Islam. as did the Prophet Muhammad, peace and the mercy of God be upon him and his descendants, and we have not yet suffered much in comparison to the sufferings faced by the Prophet of Islam. " He also said, "As long as you are not free of servitude, your brains will not work." With respect to the external invasion, it backfired directly into the hearts of the invaders bringing pain, suffering and total defeat. The fifth axis to the conspiracy, the stirring up of social disturbances between Sunnis and Shi'ites, has achieved some success, but only up to a certain extent and temporarily, because the Muslim Ummah is rapidly realizing what kind of a person is fanning the fire of these artificial social disturbances and that the neo-community colonialists want to separate the Islamic nations so as to isolate them in their confrontation with their tyrant rulers. Moreover, the neo-colonialists and their agents, that is, the rulers of some oil-rich states and other tyrannical puppets, understand that this front does not need weapons or army but needs an impostor or a group of impostors who can hand out ready made religious edicts. Hence this role was allotted to some Muslims, who wear turbans and have beards, within the official legion or outside it. Some of them started to slyly attack insinuating that the Islamic Revolution was suddenly discovered to be a Shi'ite Revolution, the Shi'ite being supposedly an outcast atheistic sect, and Ayatullah Khomeini, who they once said has 'shaken the world while sitting on his prayer mat'. became an outcast atheist! The scene of a Muslim carrying a Saudi book full of lies and baseless charges has become a familiar and common thing. He carries it from one mosque to another trying to propagate the lies it contains to the people. Perhaps some of those people work with the best of intentions thinking that they are working for the sake of God. but as we know. The road to hell is full of such good willed people. When such people discover that they are executing an imperialist conspiracy, with their good intentions, they should try to save themselves before it is too late. The stand of some Muslims against the Revolution results in the Ummah having a suspicious view of them, particularly of their principles, motives and aims. Their strange stand puts the Islamic movement in a serious situation, which it did not encounter in the past, for the enemies of the Revolution within the ranks of the Islamic movement do not have a reason for their existence and there is nothing the real movement can do except throw out such enemies from its ranks. Those who want to sooner or later destroy this wondrous pattern within the Muslim personality, particularly in occupied Palestine, will only destroy themselves because they are standing in the way of a moving tide of history, encountering as they do, an Islamic Revolution led by an Imam "who is the honor and pride of Islam and Muslims" as stated in one of the statements of the International Organization of Muslim Brothers. Is it simply a coincidence that a Palestinian Muslim who has visited many Muslim countries, has said that he had not found more extreme examples of these attacks against the Islamic Revolution of Iran than by some Muslims in his own occupied country, while at the same time, he had not found any nation as a whole having such full appreciation and strong enthusiasm towards the Revolution as his. This essay begins by presenting some important facts to Muslims in general and by showing the basis of the Islamic movement, in particular. Instead of offering more evidence In support of the fact that Sunnis and Shi'ites are brothers in Islam, although approaches to the Holy Quran and the Traditions have separated them, but both accept the fact that they form the same Ummah. instead of quoting the endless religious evidence for the truth of this clear and plain fact, there is another approach which we are obliged to take in this age in which illiteracy and sectarian fanaticism are common. This essay presents proof of Muslim unity from another angle, that is, by reporting the stands and opinions of Muslim leaders and thinkers, the leadership of most of whom is collectively accepted by the followers of the Islamic movement. It is clear that the position of a section of the Islamic movement against the Revolution, which leads to creating social disharmony between the Sunnis and Shi'ites is not basically an original one but a provisional phase dictated to young people by others who implant suspicion and pessimism within them. Thereafter they 'discover' eventually that the Revolution which lit up their hopes and triggered them off is 'not an Islamic Revolution but a Shi'ite one' and that the Shi'ites are 'infidels'. Muhib ad-din al-Khatib, author of a Saudi book (of which 5000 copies were reprinted in Palestine), brings further fictional evidence to show that the Shi'ites are supposedly infidels, deviates and alienated from Islam. He accuses them of having a Quran which is different from the one in the hands of Sunni Muslims, and of other false and baseless charges. Some people publish these false, confused and misleading thoughts of al-Khatib while they forget and leave out other opposite and concrete facts stated by distinguished Muslim leaders in their own movements. Let us now go back and review the stands and opinions of the Islamic movements and thinkers about this religiously unlawful social subversion and the false, pitiful outcry. The martyred Imam Hasan al-Banna, who was one of the pioneers of the modern Islamic movement, had revived the thought of bringing the Sunnis and Shi'ites together. He was one of the leading participants in the works of Jami'at at-Taqrib Bain Al-Mathahib Al-Islamiyah (The League to Bring Together Islamic Schools of Thought). This was believed by some to be impossible to achieve but al-Banna and other Islamic scholars and leaders believed it possible and very near being achieved. They agreed that Muslims should come together on the basic beliefs and principles which are accepted by all of them and that they should accept each other's opinions on matters which neither constitute a condition for the faith nor a pillar of the religion, nor amount to denying what is known to be one of the necessities of the religion. Abdul Karim al-Shirazi says in the book, Al-Wahdat Al-Islamiyah (Islamic Unity) which is a collection of reports and articles of religious leaders from the Shi'ites and Sunnis, first published in the magazine Risalah Al-Islam (The Message of Is/am), edited at al-Azhar University, on the subject of Jama'at Al-Taqrib2 , the "They agreed that the Muslim is one who believes in the One God, Muhammad as the Prophet, the Quran as the Book, the Ka'ba as the direction for ritual prayer and the House for pilgrimage, the five known pillars, the belief in resurrection, and the practice of what is known to be obligatory according to the Divine Law." These principles mentioned as examples, were the points of agreement among all the representatives of the four known Sunni schools of thought and the two known Shi'ite schools of thought, Al-Imamiyah and Al-Zaidiyah who attended the meeting. From this we deduce many important facts, some of which are: First, every Sunni and Shi'ite considers each other as Muslim. Second, meeting, understanding each other and overcoming the differences between them is possible and urgently required and a responsibility of the religiously committed, conscious Islamic movement. Third, the martyred Imam Hasan al-Banna took great efforts towards this goal. Dr. Ishaq Musa al-Husaini stated in his book, al-Ikhwan al-muslimun, one of the greatest modern Islamic movements, that some Shi'ites who were studying in Egypt joined this group. Also it is well known that the ranks of the Ikhwan al-Muslimun in Iraq contained many Shi'ites . When Nawab Safawi visited Syria, he met Dr. Mustafa al-Siba'ai, the general observer of the Ikhwan al-Mustimun, When the latter complained to Safawi that some Shi'ite youths were joining the secular and national movements, he addressed a large number of Shi'ites and Sunnis saying, "Whoever wants to be a true Ja'fari should join the ranks of the Ikhwan ai-Muslimun." Who is Nawab Safawi? He is the leader of the Fidaiyan Islam Organization. Mr. Muhammad Ali al-Dhanawi, in his book, Kubrah Al-Harakat Al-Islamiyah fi Al-Asr al-Hadith (Greatest Islamic Movements in the Modern Age)8 quotes Bernard Lewis, "In spite of their Shi'ite sch00l of thought, they believe in Islamic unity to a great extent similar to the belief of the Egyptian Muslim brothers and there was a great deal of communications between them." When al-Dhanawi summarizes some principles of the Fidaiyan Islam. he says, "Islam is a comprehensive system for life. Secondly, there is no sectarianism between Muslims, that is, between the Sunnis and the Shi'ites." He then quotes Nawab's words, "Let us work jointly together for Islam and let us forget everything save our struggle for the sake of the dignity of Islam. Has not the time come for Muslims to understand and resolve the division of Sunni and Shi'ite?" In his book, Al-Mawsua' Al-Harakah (Encyclopedia of Movements)9 Fathi Yakan writes about the visit of Nawab Safawi to Cairo and the strong enthusiasm and warm welcome given him by the Ikhwan al-Muslimun. He then writes about the death sentence given him by the Shah, saying, "There was a strong reaction to this unjust sentence and the Muslim masses were shocked on hearing it for they appreciated the heroic deeds of Nawab Safawi and his struggle. They condemned this sentence, demonstrated against it and sent thousands of telegrams from various parts of the Muslim world denouncing such an unfair sentence to this faithful hero and struggler. His death was considered as a great loss in the modern age." Thus a Shi'ite Muslim came to be considered one of the great martyrs of the Ikhwan. Moreover. Fathi Yakan considered Nawab and his companions in their martyrdom as those who "joined the procession of eternal martyrs," and that "their pure blood would become the torch that shall illuminate the path of the next generation of freedom and sacrifice. " 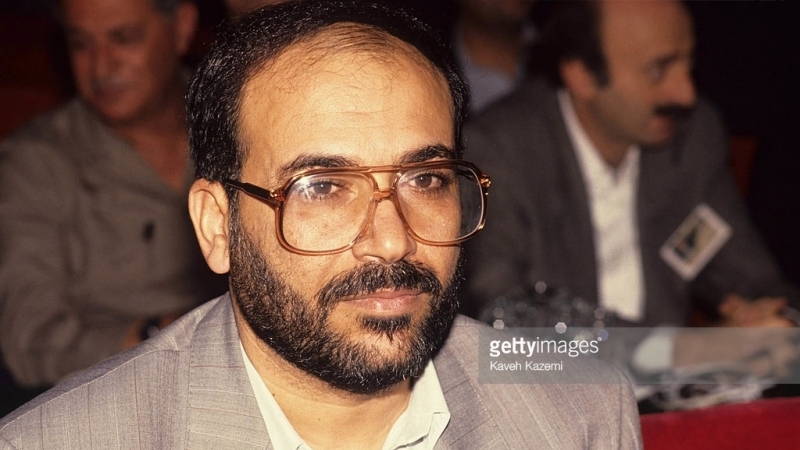 In his book, Al-Islam, Fikr Wa Haraka Wa Inqilab (Islam, Thought, Movement and Revolution)10 Fathi Yakan says, "Now that the Shah's Iran has recognized the Zionist state, it is imperative that the Arabs realize the existence of Nawab in Iran and the brothers of Nawab, but the Arab regimes have not yet done this and they do not realize that the Islamic movement is supporting its affairs outside the Islamic world itself. Is there another 'Nawab' in Iran today?" So Fathi Yakan was waiting for another 'Nawab' . But by God, why were so many people upset when another 'Nawab' appeared in Iran who is even greater than 'Nawab'? Before we set aside this part of the Ikhwan al-Muslimun's relations with the Shi'ites, we would like to mention that the general observer for the Ikhwan al-Muslimun in North Yemen up to two years ago was a Shi'ite: Abd al-Majid al-Zindani. Also there is a large number of Ikhwan al-Muslimun in North Yemen who are Shi'ites. Turning again to the Jama'at al-Taqrib and to the words of a distinguished member of this group. the great Imam Mahmud Shaltut. the late head of al-Azhar University. who said, "I believed in the idea of bringing together Islamic schools of thought as a correct principle and participated from the beginning in this group." He also says, "Al-Azhar has agreed on the basic rule of this group of leaders of various Islamic schools of thought and has decided to teach the jurisprudence of various Islamic schools of thought. a study based on the convincing evidence. proof and without prejudice, favoring this group or that." He continues in his speech. "I would like to talk about the meetings in Dar Al-Taqrib. where the Egyptian sits beside the Iranian, Lebanese, Iraqi, Pakistani or others from one of the various Muslim nations. Also there are the Hanafi, Maliki, Shaf'i and Hanbali who sit beside the Imami and Zaidi at one round table with voices full of knowledge, devotion and jurisprudence as well as the spirit of brotherhood, friendship, love and devotion to science and gnosticism." Moreover, Imam Shaltut indicated that there were some people who fought the idea of bringing together Islamic schools of thought believing as he says, "This group wants to demolish the schools of thought or amalgamate them." He also says, "This idea has been opposed by some people of little intelligence and others who have certain unworthy purposes. There is no nation which is free from such kind of people. It was also opposed by some who found their security, the security of their interests and their livelihood in the present division who were used by sick-minded people, those following their own interests, their private desires, those and others who hire themselves out to divisive policies with their direct and indirect purposes and methods to stand against any reform movement and prevent any progress in joining and uniting Muslims and bringing their expression together." Before we leave aside al-Azhar, we would like to mention the verdict which Imam Shaltut issued concerning the Shi'ite school of thought, in part which says, "The Ja'fari school of thought, which is also known as Al-Shi'ah Al-Ithna Ashariah, is a school of thought that is religiously correct to follow in worship as other Sunni schools of thought. Muslims must know this and ought to refrain from unjust prejudice to any particular school of thought, since the religion of God and His Divine Law was never to 'follow a certain school of thought. All are jurisprudents and accepted by Almighty God." As to the League for Bringing Together the Schools of Islamic Thought, its countless groups of Muslim thinkers beginning with Shaykh Muhammad al-Ghazzali says in his book, Kaifa Nafham Al-Islam (How Do We Understand Islam? )13, "And the religion never escaped the fate of disturbances that affected the ruling policy which includes pride and selfishness. Therefore, whoever is not of their belief results in two great divisions of Muslims, the Shi'ites and the Sunnis, although both divisions believe in the One God and in the message of the Holy Prophet and neither of them excel the other in being endowed with the aspects of Islamic belief that benefit religion and thought through which they seek salvation." Then on the same page, he writes, "Although I seek many of my judgments about cases through other than what the Shi'ite use, still I do not consider my opinion a religion so that anyone who views differently would be sinning, and the same is true of my stand regarding the common differences of opinions on matters of jurisprudence between the Sunnis. "14 He adds later, "And at the end of the path, the divisions between the Shi'ites and Sunnis were connected to .the principles of belief in order to rip the one religion in half and divide the one nation into two. Anyone who aids this division by even one word is referred to in the Quranic verse, "Those who divided their religion and became groups, you are not from them in anything, their matter returns to God, then He tells them about what they were doing. "(6: 159). Be warned that rushing into pronouncing others as being non-believers is easy in argument and to accuse one's opponent of disbelief, because of an opinion he expresses, is an easy matter in the heat of discussion." He introduces another scholar, Hibbat al-din al-Huseini and says, "Of the splendid Shi'ite scholars. And we have undertaken to publish the summary completely so that the Muslim reader will know the extent of the knowledge of this scholar about the nature of the miracle, and hence of the extent of honor the Shi'ites have for God's Book. "17 This is how Shaykh al-Ghazzali, one of the important thinkers of the Ikhwan al-Muslimun speaks about the Shi'ites, countering all naive imagination in order to disperse, by the light of the truth, the darkness of ignorance, hatred and selfish interests. Sayyid Hawiy writes in his book Al-Islam, about the Islamic state and administrative classification, "The practical reality of the Islamic world is that it is composed of schools of jurisprudence, each one dominating an area, or of schools of belief, each school dominating an area, and, confronting this reality. Is there any religious prohibition which prevents taking these realities into account in administrative classification? 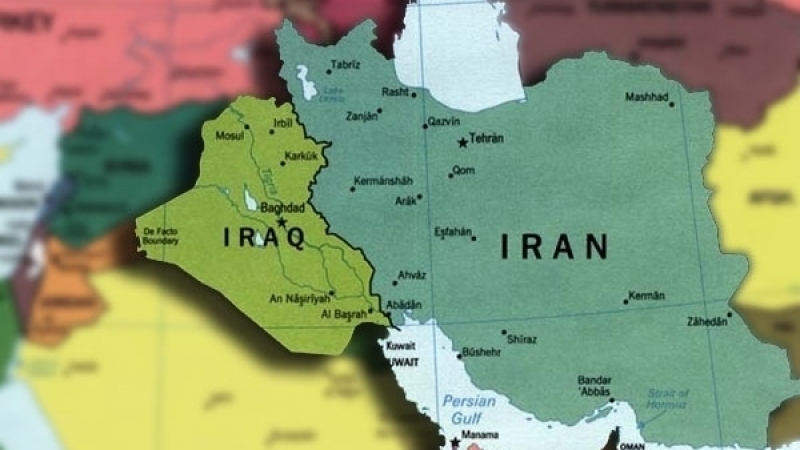 A single-language region will become a (semi-autonomous) state, the Shi'ite region will have a (semi-autonomous) state and a region of a certain school of thought will also have such a state and each state will elect its rulers provided that it is under the control of the central power represented in the Caliphate. "19 This is a clear and frank confession from one of the foremost leaders of the Ikhwan al-Muslimun today that the existence of the numbers of schools of thought including the Shi'ites will neither harm people's belief in Islam nor their religion and that the Shi'ites will have a ruler from among themselves in the state of Islam. 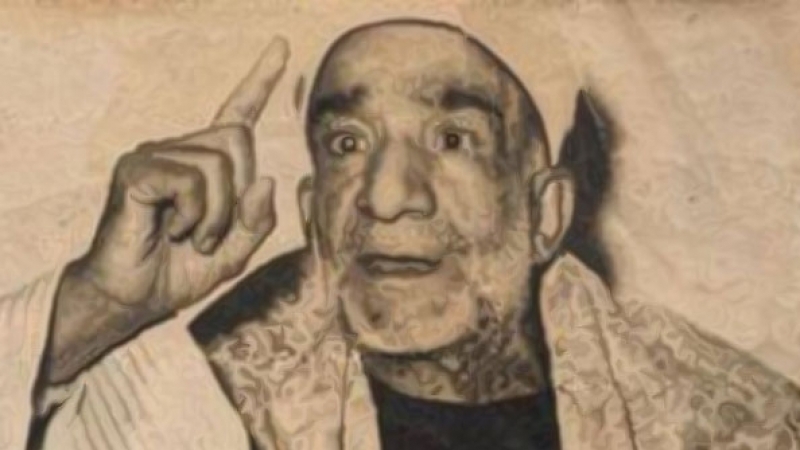 Ustad Salim al-Bahnasawi,one of the important thinkers of the Ikhwan, who dealt with this matter in detail in his important book Al-Sunnah Al-Muftara alayha (The Tradition Being Falsified), "In answer to those who claim that the Shi'ites have a holy book other than ours, the holy book which the Sunnis have is the same as that which exists in the mosques and homes of the Shi'ites. "25 Furthermore, he says, "The Ja'fari Shi'ites (followers of the Twelve Imams) think of those who question the authenticity of the Quran that has been certified perfectly authentic as such by the whole Ummah since earliest Islamic age, as infidels. "26 Similarly, in answer to the claims of Muhib al-Din Khatib and Ihsan Dhahir on the subject of distortion in the Quran, he introduces a letter on the ideas of many Shi'ite scholars and jurists, quoting Imam Khu'i, "It is known among Muslims that distortion in the Quran never occurred and the one existing in our hands is the Quran sent to the great Prophet. "27 He also quotes Shaykh Muhammad Ridha al-Mudhaffar, "That which is in our hands is the whole Quran sent to the Prophet, and whoever claims anything different is falsifying or doubting and none are on a right guidance, since the Word of God is such that wrong never comes to it from before it or behind it." Then he quotes from Imam Kashif al-Ghita, "In it, there is no deficiency, no distortion, no addition, and on this they are all agreed." In this aspect Abu al-Hasan al-Nadawi wished to bring about harmony between the Sunni and Shi'ite, while saying to the Egyptian Islamic magazine, Majallat Al-l'tisam Al-Islamiyah Al-Misriah33 "And if this action should be done (i.e. bringing together Muslims) a unique revolution in the history of revitalizing Islamic thought will take place." As for the scholars in jurisprudence, they consider that there is no consensus (Ijma') unless the Shi'ite jurists agree absolutely just as there is no consensus unless Sunni jurists agree. If the agreement of the Shi'ites is necessary to fulfill the conditions of a consensus of Muslims, is it possible then to consider them as deviated and in hell? Ahmad Ibrahim Baigh, the teacher of Shaykh Shaltut and Abu Zuhra and Khilaf, in his book.Ilm Usal Al-Fiqh wa Yalih Tarikh Al-Tashria Al-Islamiyah ((The Knowledge of Ihe Principles of Jurisprudence followed by the History of Islam's Divine Law) says in the section related to the history of Islam's Divine Law, "The Shi'ite Imamiyah are Muslims who believe in God and His Messenger and the Quran and in every thing the Prophet brought and their belief is widespread over the land of the Persians. "36 Then he says, "And among the Shi'ite Imamiyah in the past and the present, are great jurists and scholars in every field of knowledge who are deep thinkers, and widely educated. After this study of the works of various scholars in this field, it is necessary to indicate those who tried to expand the ideas of Ibn Taymiyah against the Rafidhah. a name given to Shi'ite extremists, which included many of the Shi'ite sects and to those who tried to generalize his ideas to include Shi'ite Imamiyah. hence using it against the Islamic Revolution in Iran. These people have made many important mistakes for they never wondered why they never found similar verdicts in the history of Islam before Ibn Taymiyab, despite the fact that he lived in the 7th Islamic century. that is, more to hide their political stands against it. They did not try to inquire about the word Rafidhah , which was mentioned by Ibn Taymiyah and whether or not it is applicable to the twelve Imam Shi'ites or not. Anwar al-Jundi in his book Al-Islam Wa Harakat Al-Tarikh (Islam and the Movement of History) writes, "The Rafidhah are other than Sunnis and Shi'ites. "39 Also, Imam Muhammad Abu Zahrah reviews in his book, "Ibn Taymiyah mentions some Shi'ite sects like the Zaidiyah and the twelver Imam Shi'ites without mentioning any negative views of his towards these two; whereas when reviewing the Ismaili sect, he writes: 'This sect is the one some of the followers of which Ibn Taymiyah was opposing and he fought against them by his knowledge, tongue and sword. '40 That is why we find Imam Abu Zahrah expanding his study about this sect, as he himself says. This was the stand of some Islamic movements and their leadership about this false outcry between the Shi'ites and the Sunnis, Moreover, the Islamic Revolution which arose in the beginning of 1978 has awakened the soul of the Islamic nation from Tangiers to Jakarta and the Muslim societies are watching Tehran and Qum than six centuries after the appearance of Shi'ism. They did not grasp or understand the age of Ibn Taymiyah and the conditions faced by the Muslim society that was in confrontation with foreign invasion. They did not try to hide their hatred against the Islamic Revolution in Iran or and remembering the astonishing victories of the beginning of Islam. With the progress of the Revolution, the attraction of people towards it is increasing. These societies have ex pressed their delight and happiness in the streets of Cairo, Damascus, Karachi, Khartum, Istanbul and even around Quds and everywhere Muslims live. 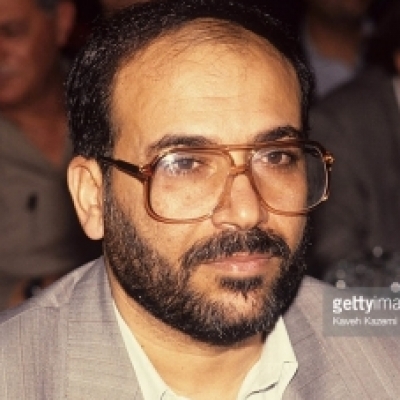 In West Germany, Isam al-Attar, one of the historic leaders of the Ikhwan movement, who is known for his sincerity, his long struggle, the purity of his revolutionary ideas was a man who spent his life never yielding to a ruler and never approached a prince's castle. He was writing a comprehensive book about the history of the Revolution, its roots and stands. Besides supporting the Revolution and telegraphing his congratulations more than once to Imam Khomeini, he asked for blessings and supported the Revolution. Moreover, his cassette-recorded speeches of support have been distributed amongst Muslim youth. In addition, the magazine in which he shares an important part, Al-Raid stands in support of the Revolution and explains the Revolution and what it stands for. In Sudan, the stand of the Ikhwan al-Muslim un movement and the youth of Khartum University was one of the most magnificent stands that an Islamic capital has seen, when they demonstrated 111 support of the Revolution, Hasan al-Turabi, the leader of the movement in Sudan, who is known for hi, wide education and acuteness in politics, traveled to Iran where he announced his support for the Revolution and its leader. In Tunisia, the Islamic movement's magazine, Al-Ma'rifah was supporting the Revolution, asking blessings for it and calling upon all Muslims to aid it, until the situation reached the point that the leader of the Islamic movement in Tunisia, Rashid al-Ghannushi, wrote in the same magazine nominating Imam Kllomeini for the leadership of the Muslims, This matter led to the closure of the magazine and the arrest of the movement's leaders by the government of Borquibah, In the book Al-Harakah Al-Islamiyah Wa al-Tahdith (The Islamic Movement and Its Renewal) , Ghannushi considers the new Islamic approach as the one that has been clarified and given a firm shape by Imam Hasan Al-Banna, al-Mawdudi, Sayyid Qutb and Imam Khomeini, the representatives of the most important Islamic approaches in the contemporary movement. "Khomeini as a leader and Imam, destroyed tyranny, never fears battles. We destroy polytheism and remove darkness, So the universe will return to light and become full of peace." In Egypt Al-Da'wa, Al-Itisam and Al-Mukhtar Al-Islam magazines stood beside the Revolution emphasizing its Islamic nature and supporting its leader. When Saddam began his invasion of Iran, Al-Itisam wrote on its October, 1980 cover, "Comrade Saddam Takriti...student of Michel Aflaq who wants to make a new Qadisiyah (a historic battle) against Islamic Iran ..." And on page 10 of the same Issue, Al-Itisam, gave the cause of the war, "The fear of the spread of the Islamic Revolution in Iraq," then said, "Saddam Takriti saw the transition period in which Iran's army is going through being a concerted effort to form an Islamic army out of an imperial one, as a golden and unrepeatable opportunity to destroy that army before it became an un-destroyable power, because Islamic belief will take over the hearts of its officers and soldiers." Then Jabir Rizq explains the purpose of the colonialists in the war as aiming to bring down the Revolution by saying. "In bringing down the revolu tionary Iranian system, the danger such kind of tyrants are facing would be removed. These tyrants are shaking due to their belief that their nations might revolt against them and depose them as the Iranian Muslim nation did against the agent Shah." At the end of the article, he says. "But the role of God is as the conquerer and struggle and martyrdom is imperative. God gives victory to those who aid his cause and God is the Mighty, Powerful." At the end of the article, written on the second anniversary of the victory of the Iranian Revolution, after the author wrote on the strength of the Shah's army and its oppressive means, the article continued, "Despite all that, the Iranian Revolution succeeded after the fall of thousands of martyrs, It was,then,the greatest Revolution in modern history in its activities, positive results and effects that reversed the calculations and changed the criteria." The International Organization of the Ikhwan al-Muslimun issued a statement to the Islamic movements in the world during the crisis of the hostage-spies saying, "If the subject concerned Iran alone, it would have agreed on a moderate solution after it had become clear what it is all about, but it is Islam and its nations everywhere being a trust on the shoulder of the only Islamic government in the world that forced itself on the blood of its nation in the 20th century to establish the rule of God above the rule of the rulers, colonialists and international Zionism." The statement referred also to the view of the Iranian Revolution about those who want to break its ann as one of the following ... "He is either a Muslim unable to comprehend the era of Islamic blood and is still living in the period of surrender. He, then, has to ask forgiveness from God and should try to complete his lack of understanding of the struggle and dignity of Islam, or he is an agent working for tlie interests of the enemies of Islam under the cover of brotherhood and concern about Islam, or a naive Muslim motivated by others who neither have an opinion of their own nor a will or a hypocrite wavering between the two." When Saddam's invasion of Islamic Iran began, the Ikhwan al-Muslimun issued a statement addressed to the Iraqi nation in which it attacked the infidel Ba'ath party. A part of it read, "This war is not a liberation war for the oppressed men. women, children who neither have a way out nor guidance. The Iranian Muslim nation has freed itself from the oppressor and from American-Zionist colonialism through a heroic, marvellous struggle and a stormy Islamic Revolution, which is unique in the history of mankind, under the leadership of a Muslim Imam who is without doubt an honor for Islam and Muslims." The statement further men tions the aims of Saddam's attack, "The annihilation of the Islamic movement and the putting out of the light of Islamic liberation which emerged from Iran." At the end of the statement, it calls for the Iraqi people to "Kill your butchers. The opportunity has come that will never be repeated. Put down your weapons and join the camp of the Revolution. The Islamic Revolution is yours." The position of Pakistan's Jama'at al-Islami in regard to the Islamic Revolution of Iran is reflected in the fatwa (religious edict) of the late Mawlana Abdul Ala Mawdudi, which was published in Cairo's Al-Da'wa magazine. in its issue of August 29, 1979. It was in answer to a question put to Maulana Mawdudi about the Islamic Revolution. The late Mawdudi's answer was, "The Revolution of Khomeini is an Islamic Revolution, the participants of which are Islamic groups and youths tutored by the Islamic' movements. All Muslims in general, and the Islamic movements in particular, must support this revolution and cooperate with it in all respects." This was the stand of the late Mawdudi, one of the greatest and most influential scholarly figures of the present century. From the point of view of Mawdudi, supporting the Revolution was the legitimate obligation of every Muslim, and this makes clear the illegitimacy of the crusade launched by some groups linked to the Islamic movements against this Islamic revolution, Before going on to another issue, it is important to relate an incident. A young man once asked someone about Mawdudi's withdrawal of his verdict about the Revolution, The person was surprised a t the question of this young man who had apparently heard from someone that Maulana Mawdudi had later withdrawn his fatwa about the Revolution. Soon it was discovered that the wicked hands had fabricated this rumour about withdrawal of the Jarwa by that jurist. If this were true, was it not the responsibility of the al-Da'wa magazine to print the withdrawal Or abrogation, if Mawdudi had really done so'? However, al-Da'wa had not published anything like that. In fact the first man to know about this matter was the one who had fabricated this rumour! Another interesting thing was the belatedness of this rumour: Maulana Mawdudi had died within one month of the publication of this edict while the rumour of abrogation was spread months later. The stand of the famous al-Azhar university has been announced by its former Shaykh in an interview with Al-sharq Al-Awsat, published from London and Jeddah, in its issue of February 3, 1979. He said, "Imam Khomeini is our brother in Islam, Muslims, despite their differences in their schools of thought, are brothers in Islam and Imam Khomeini stands under the same banner as I do: Islam." The Al-Du'wa magazine, in one of its later issues, considered the Islamic Revolution of Iran a result of the global Islamic awareness that was referred to at the beginning of this study. As for the obstacles and hurdles that have been created against this Revolution, it is our view that it is the duty of all true Muslims to help in their removal. What we have described above are the opinions of well-known Sunni scholars and thinkers related to Islamic movements. To take up the stand taken by the Shi'ites regarding the issue of Muslim unity, it is sufficient to quote the reply given by Imam Khomeini to a question that was put to him about the foundations of Iran's Revolution. Imam Khomeini said, "The reason for making Muslims into Sunnis and Shi'ites does not exist today. Today we are all Muslims. This is an Islamic Revolution and we are all brothers in Islam." In the 14th conference on Islamic thought that was held in Algeria, one of the participants and a representative of Imam Khomeini said, "Oh brothers! The enemies do not differentiate between the Shi'ites and the Sunnis. They want to destroy Islam as a faith, a school of thought and an ideology. Those, who, through their word and deed, seek to divide Muslims into Shi'ites and Sunnis. stand within the ranks of infidels and are opposed to Islam and all Muslims. Hence as declared by Imam Khomeini in his fatwa, it is religiously forbidden. It is the duty of all Muslims to prevent it." Should we not strive to understand the core of this Revolution, its historical goals and its Divine objectives? Today Islam stands again on its feet and is striving to face the challenges thrown at it by the West. The Iranian Muslims, together with all true and aware Muslims, have taken up the banner of the revival of Islam and its victory upon the earth. This is the highest goal of the life of every Muslim and in it lies the pleasure of God, the Almighty. Let us see what Ghali Shukri, an Egyptian Christian and a Marxist, has to say about the Divine qualities of this Revolution. While he attacks this Revolution in an article published in Dirasat al-Arabiyah (Arabic Studies) he says, "Some of these contradictions which exist are still noticeable: Thinkers, who are known for their Marxist background have turned into staunch Muslims in a blink of the eye; others, who according to their birth certificates are Christians, turn in a moment into Muslim extremists; thinkers, who by education belong to the West and were bred and brought up. in its fashions and styles, without the least amount of reserve, turn into fanatic easterners. Under the banner of Khomeini, educated Arabs return to the fold of tradition like lost sheep returning to their fold after prolonged banishment and separation and all of this with the excuse of returning to the facts and reality and with the excuse of the bitter failure of Marxism, secularism, liberalism or nationalism."" These words of Ghali Shukri, with his bitter and sarcastic criticism of Imam Khomeini and the Islamic Revolution, give us a better opportunity to understand the depth and span of this Islamic Revolution more than many Muslim writers calling to Islam! We end our article with the words of Imam Khomeini given in a speech at Qum 17 years ago. There, the Imam said, "The filthy hands which aggravate the differences between the Shi'ites and Sunni Muslims, belong neither to the Shi'ites nor the Sunnis. They are the hands of the colonialists which plan to take the Islamic countries out of our hands. The colonial powers who want to plunder our wealth through various schemes and conspiracies are the ones who hatch plots for creating division under the pretext of Shi'ism or Sunnism." 1. Refer to Usul al-Takadum inda Mufakkiri al-Islamfil A'lam al-Arabi al-Hadith (The Bases of Progress According to Muslim Thinkers in the Modern Arab World) by Dr. Fahmi Jadan, 1st Edition,June,1979, pp.561-2. 5. Dar al-Itisam. 1st Edition, pp.33. 11. 5th vol., April, 1956, pp. 73. 19. Vol., 2, pp. 165. 35. 14th printing, pp. 46. 36. Printed in Dar al-Ansar, pp. 21. 52. The quotation is from al-Bayadir al-Siyasi magazine, Vol.II, February 1,1982, pp. 3. Exposing the real faces behind the alleged Shi‘i-Sunni divide! The success of the Islamic revolution in Iran exposed the secular nationalists both in Iran and the rest of the Muslim world.